Getting to meet producer: Frank Marshall a few years back at a special screening of: ‘The Warriors’ (1979)! Another plus point is the opportunity to go to a special screening, that is a true event! What I mean by this… Well pre-release screenings are definitely one of them, but also getting the opportunity to be able to see classic movies on the big screen with the people who helped make them, or even just getting to see movies on the big screen that I never got the opportunity to go see because they were released before I was born! 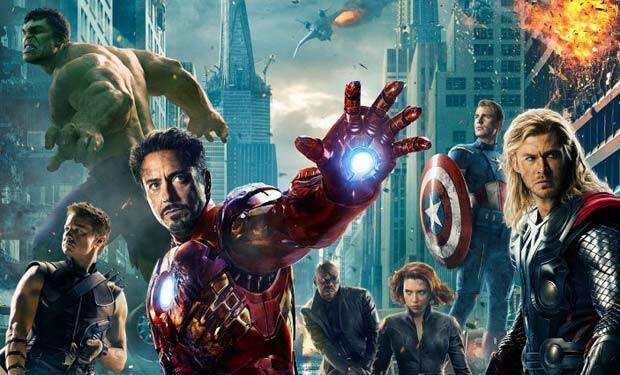 One example of this was that recently I got the opportunity to go and relieve the magic of watching the first, ‘Avengers’ movie, along with an advanced screening of, Avengers 2: Age Of Ultron (2015) as a double feature with my friend and fellow ABMer, Matt Dowling as a double feature leading up to the release of Avengers 2! Now you might not think much of it… I mean Avengers 2 is out now, and the first movie was released many years ago… Well the truth is, is there is something lost in translation between the small screen and the big screen… Don’t get me wrong, it is still fun… But getting to see the first Avengers movie was truly an awesome experience the first time that I watched it on the big screen, and the second time had me on the edge of my seat in the same way as watching it the first time did! And as for watching the second one before it was released… I mean how cool is it to get to see a movie before it gets released… Especially a summer blockbuster! Anyway since I have been talking about the two Avengers movies, I thought that you guys might enjoy the trailers for them!